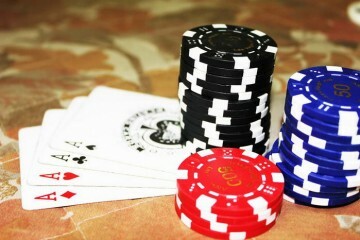 Online casinos usually have hundreds of games for us to choose from irrespective of the software provider behind it. How many games you get depends on the casino you are at and the software provider powering it. Slots form the biggest chunk of games for all providers except the specialists, like Evolution Gaming for live casino gambling. This is because they are hugely popular among players: they are fun to play, deliver superb winning opportunities and don’t require any special skills to master; a healthy dose of luck will do. 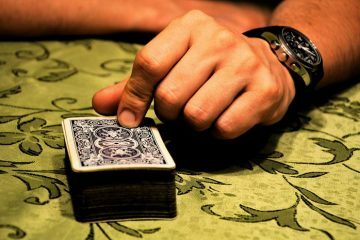 There are of course other games as well, including table and card games like roulette and blackjack, video poker, craps, specialty games, live dealer games and progressive jackpots. 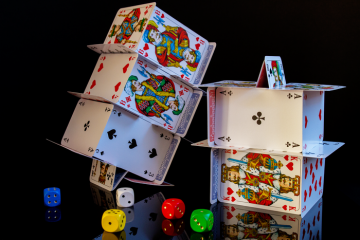 On this page we take a look at the top 10 casino games by popularity. All these games are fantastic and are available for play in both free practice play and real money play mode. After much investigation this is the site I choose to test all the games below. Gonzo’s Quest is a NetEnt slot that is themed on Gonzalo Pizzaro, a conquistador and his quest for El Dorado, the lost City of Gold. 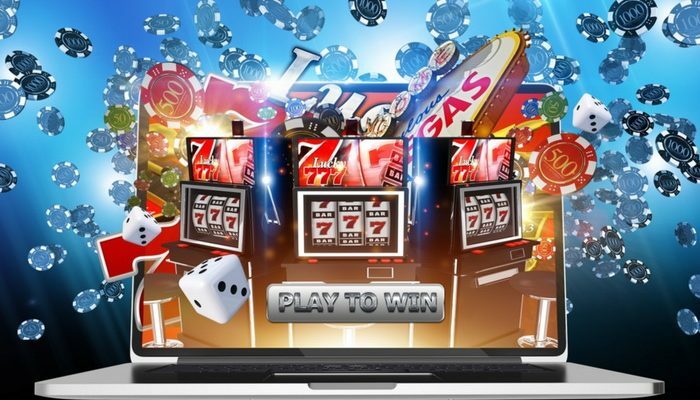 The game has exciting graphics and animations and comes with 5 reels and 20 paylines. There are innovative features like Avalanche Multipliers, wild symbols, Free Fall symbols and more. The highest you can win in a base game is 2500 coins. The coin size in this game ranges from 0.01 to 0.50 and you can bet a maximum of 5 coins per line. Thunderstruck II is a brilliant Microgaming slot themed on Norse mythology. It has as the central characters the Viking Gods Odin, Thor, Loki and Valkyrie. This is a game with 5 reels and gives you 243 different ways to win. There are exciting bonus features like the randomly triggered Wildstorm feature. The main bonus feature is the Great Hall of Spins feature, which has in it 4 free spins bonus features: Valkyrie Bonus, Loki Bonus, Odin Bonus and Thor’s Bonus. This bonus is triggered by landing at least 3 Thor’s Hammer symbols on the reels. Starburst is a NetEnt slot that is hugely popular. The game has 5 reels and gives you 243 ways to win. It comes with the cool Starburst wilds. When this symbol lands on reels 2, 3 or 4 it fills up the reel to give you the possibility of cool wins and also trigger a re-spin. Big Bad Wolf is a Quickspin slot with 5 reels and 25 paylines. The game is themed on the fairy tale of the Three Little Pigs who are chased by the big bad wolf. The game looks fantastic, with the reels set in a straw hut with hills and fields in the background. All the symbols are from the fairy tale, and include images of the pigs, the big bad wolf, The game has some cool bonus features, including the Pigs Turn Wild feature, wilds and scatter symbols, a free spins bonus activated by landing 3 or more wolf scatter symbols on the reels; this bonus can be re-triggered. A big bonus is the Blowing Down the House feature that is triggered by collecting moon symbol on the last reel. The wolf tries to blow down the house: which house he tries to blow down depends on the number of moon symbols landed. Another cool feature is the Swooping Reels feature. Dr. Jekyll & Mr. Hyde is a BetSoft Gaming slot that is themed on the novel of the same name by Robert Louis Stevenson. The game has 5 reels and 30 paylines and the game itself is set up in the laboratory of Dr. Jekyll. Potion features: These are two features that involve the red and blue potion symbols. You get wins and multipliers with each this features. Potions bonus: This bonus involves making an anti-monster potion and gives you multipliers, the highest being 160x your total bet. Free spins: Collecting red potion symbols on reels 2, 3 and 4 causes a meter below the reels to fill up. The free spins bonus is triggered when the meter reading is 100. The free spins bonus ends once you collect 12 blue potions in the meter. Frenzy bonus: This is a special bonus that gives you a maximum of 66x your total bet. This is a Novomatic slot that was originally found in land-based casinos and later made its way to the online casino. The game has 5 reels and 10 paylines and is themed on archaeological digs in Egypt. The wild symbol is the spinning Book of Ra symbol; this is also the scatter symbol. Bonus features in the game include the free spins bonus and the Gamble feature. The free spins bonus is triggered by landing at least 3 scatter symbols across the reels. You get 10 free spins. One of the regular symbols becomes an expanding symbol to give you more wins. The Gamble feature helps you double your wins from a spin in a double-or-nothing setting. This is a Playtech slot with 5 reels and 25 paylines. The game is themed on the ocean and has creatures from the deep as its symbols. Great Blue is the killer whale; other symbols include turtles, a seahorse, a shell, a shark and more. The Great Blue symbol is the wild and replaces all other symbols except the scatter. The giant shell symbol in the game helps trigger free spins and multipliers. This is the scatter symbol and landing a minimum of 3 of this symbol gives you free spins. You can win up to 33 free spins – the base free spins number at the start of the bonus is 8 – that could come with a multiplier of up to 35x. This is a slot themed on the Greek god of the same name and has 5 reels and 30 paylines. This was originally a land-based casino slot; it later was tweaked and offered at online and now mobile casinos. The game is rich in symbols and comes with the stacked wilds special feature. Another bonus feature is the Zeus feature that gives you a chance to win up to 100 free spins: 10 free spins on landing 3 scatter symbols, 25 free spins on landing 4 scatter symbols and 100 free spins on landing 5 scatter symbols. Cleopatra is a fantastic slot from IGT and is themed on the legendary Egyptian Empress of the same name. The game has 5 reels and 20 paylines and has a massive 10,000-coin jackpot to be won in the base game. The bet size ranges from 0.20 to 100.00. There is also the Sphinx symbol which gives you rewards – from 15 free spins to 180 free spins, each with a 3x multiplier. This is a NetEnt slot with 5 reels and 9 paylines. The game comes with a strong theme of the Wild Wild West and has graphics to complement that look and feel. The bonus features in the game include sticky wilds – i.e. wilds that appear during the free spins bonus round. The main bonus is the free spins bonus which gives you wins with a 2x multiplier. You trigger this feature by landing at least 3 pistol scatter symbol.